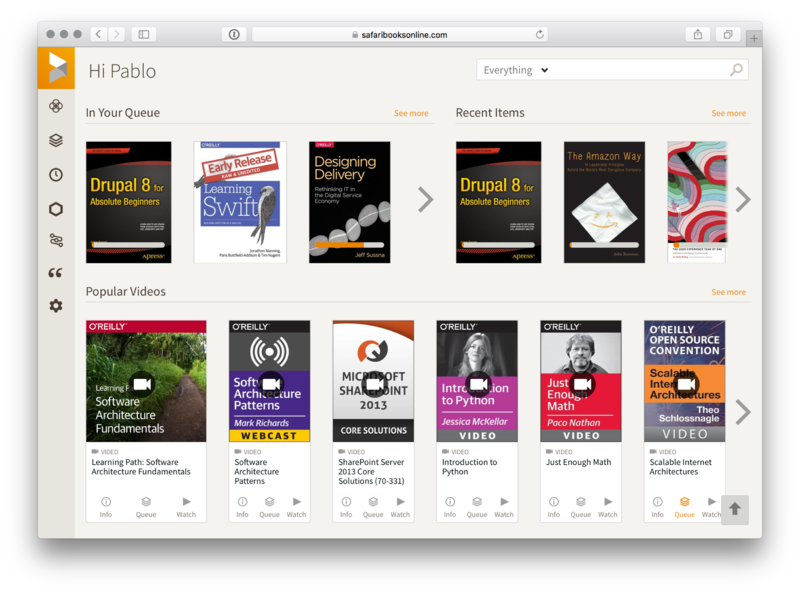 Safari is a subscription service from O’Reilly. It provides access to a library of more than 30,000 books and videos on a broad range of work-related topics, from the world’s top publishers. 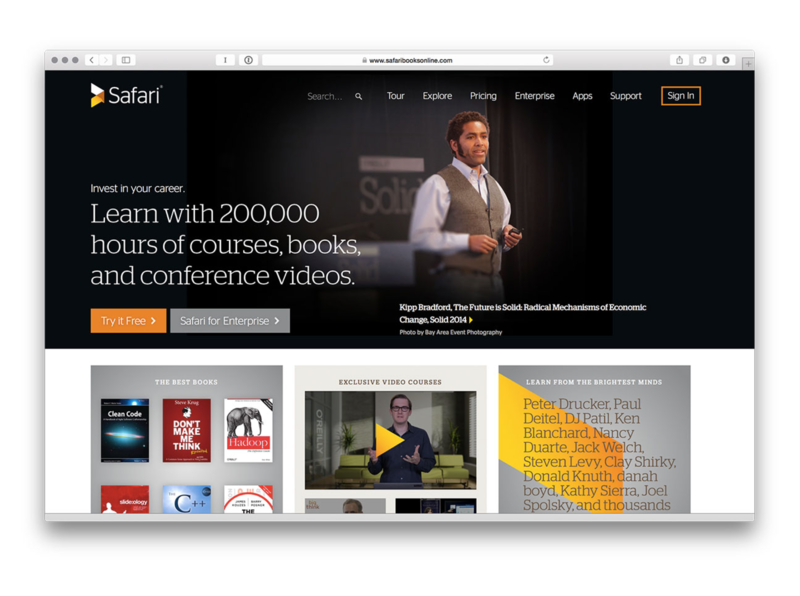 Safari provides a never-ending stream of recommended books and videos, based on a user’s stated topics of interest, as well as their reading and watching habits. 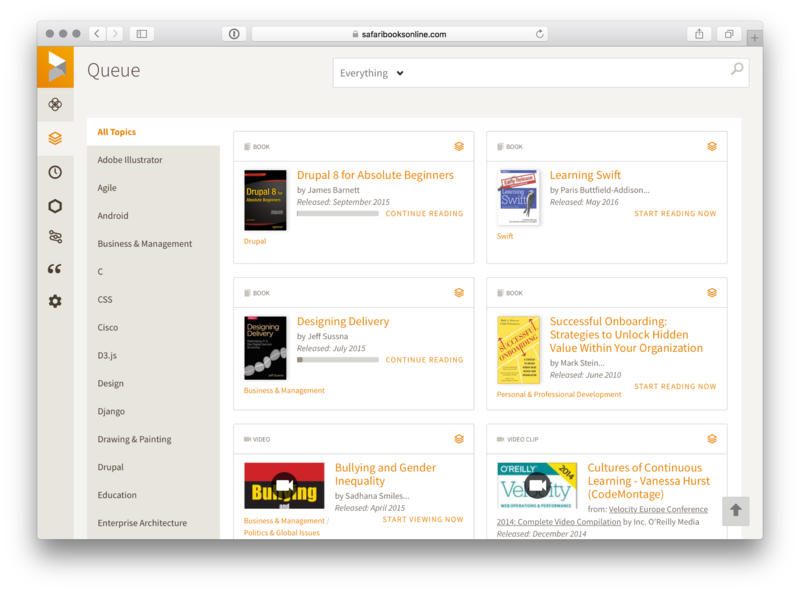 The user can save items into their Queue, for subsequent reading or watching. 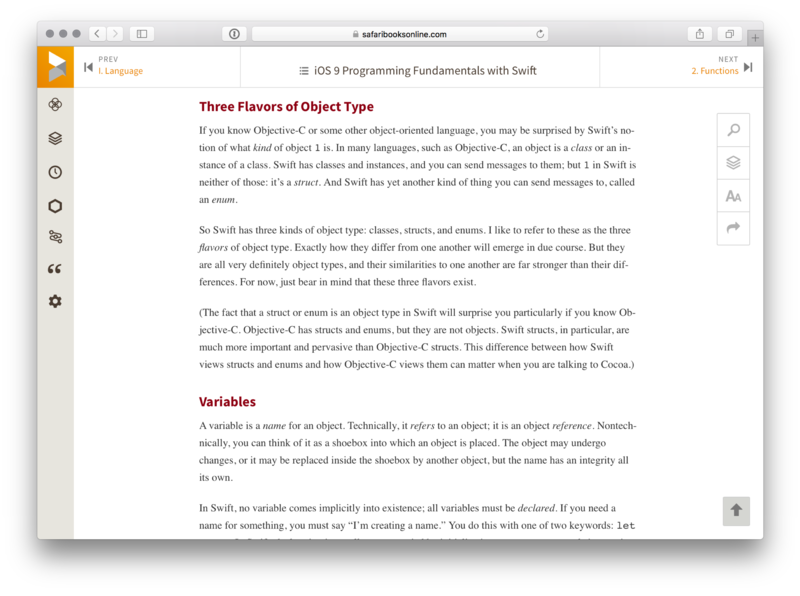 Centered around a beautiful, clean and simple reading interface, Safari places content front and center, and is designed with mobile usage at top of mind—it works equally well on small handheld devices as well as large displays. As well as designing the Safari product, we worked with an agency on the design of a new visual identity and marketing site for the company. 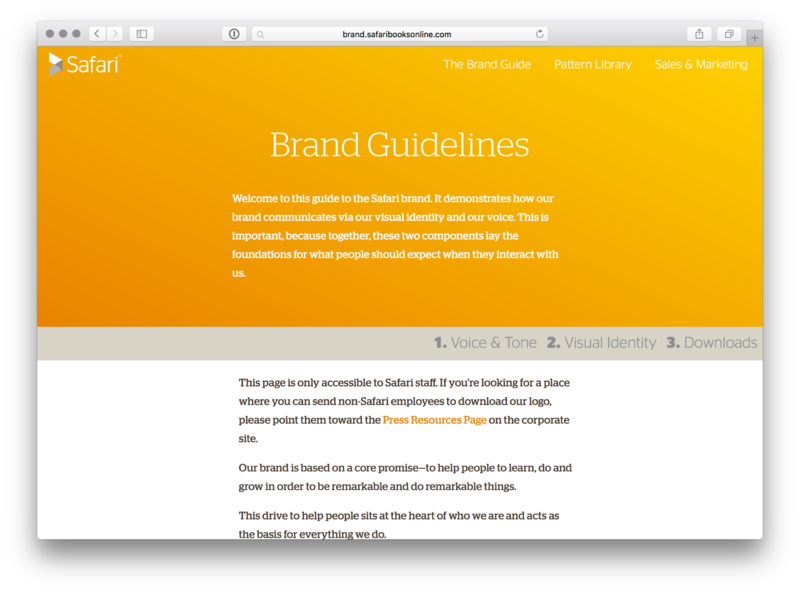 As we built the new product and launched the rebrand, we developed an internal style guide and pattern library, which we used to help us introduce the new product across the company.